Selection of unflavored PG nicotine bases. Selection of unflavored VG nicotine bases. Here you will find high concentration flavours of various well known brands for DIY purposes. Our collection of Capella’s flavour drops. A huge collection of FW flavors. Flavors based on drinks and coctails. Flavors inspired from famous Tobacco flavors and blends. 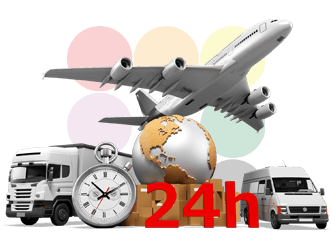 In this category you will find our special offers. Keep in touch !!! What Does The Color of My Nicotine Mean? Flavor Pairing - What Goes Good Together? How much money will I save Vaping? Are different strength refills available? Cigarettes are smelly - what about Electronic Cigarettes? TPD - PG Bases There are 2 products. 20mg/ml USP Nicotine solution strength (2% Nicotine by weight) diluted in a USP grade carrier base fluid available as Propylene Glycol. MAP (Modified Atmosphere Packaging) to ensure freshness. 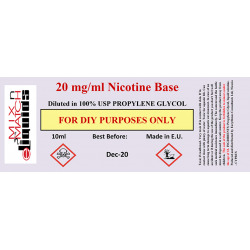 16 bottles X 20mg/ml USP Nicotine solution strength (2% Nicotine by weight) diluted in a USP grade carrier base fluid available as Propylene Glycol.